WASHINGTON - Lying on a hospital bed, his thorax punctured by a 9-millimeter bullet, Kent Whitaker vowed to take revenge on the person behind his family's brutal murders. Today, Whitaker is fighting to save that same mastermind from a death sentence, for a particularly personal reason: it's his own son. 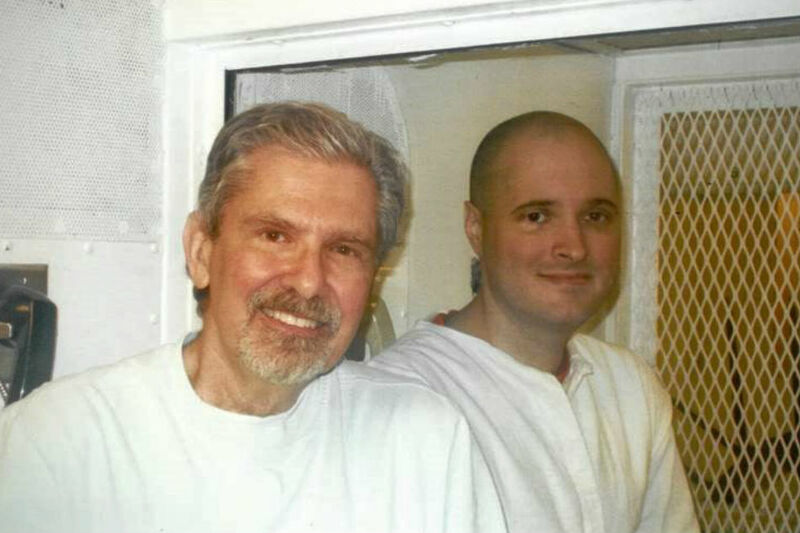 "Forgiveness was the last thing on my mind," the 69-year-old Texan told AFP. "I couldn't fathom why this had happened, only that I wanted to hurt the masked shooter -- whoever he was -- as much as possible, as revenge for destroying my life." That fatal night in December 2003 saw the family -- Whitaker, his wife Tricia and their 2 sons, Bart and Kevin -- return to their home in the upscale Houston suburb of Sugar Land, after a dinner Bart said was to celebrate his upcoming university graduation. Overwhelmed with anger and shock, it was Whitaker's faith that helped him curb his desire for vengeance. "I was wrestling with my faith," he said. "And was mad at God -- not just for allowing this to happen, but it seemed to me that it contradicted some promises in the Bible that I was forced to question." "But God met me in the hospital room on the night of the shootings and helped me arrive at a 'miracle' forgiveness for everyone involved," he said. "Long before I ever even suspected that that forgiveness might extend to my own son." For 7 months, the young man lived with his father, who stood by his son even after police pinpointed him as a suspect in the murder plot. Investigators quickly dropped their earlier assumption that the tragic incident had been a burglary gone wrong: nothing had disappeared, except Bart's cell phone. There was no evidence of a break-in. The probe led officials to discover the surviving son had in fact never been enrolled in college -- it was but a detail in his murderous scheme. Bart was condemned to death in March 2007, despite his father's pleas to spare his life. "I was crushed and have worked for years to process the loss of my wife and son through therapy -- and then had to include more counseling to wrestle with might happen in the future," Whitaker said. "Now that that future is here, I am faced with more trauma and loss from his upcoming execution." Whitaker's convicted son, who is now 38, is to receive a lethal injection on February 22. Prison guards say he is a model inmate, helpful and altruistic. "Bart has matured," said Whitaker, who documented his heartbreak in the book "Murder by Family." He said his son has taken anger management and religion classes, completed his undergraduate degree, and has nearly wrapped a master's course. Bart's attorneys have exhausted their legal options to shield him from death row; his fate is now in the hands of the state's governor, who could commute the death sentence. "This case is unique," said his lawyer Keith Hampton. "Imagine two people in your family who you love most. Now, imagine one of them murders the other. There must be punishment." "But would you prefer execution?" he continued. "What if that person was your only remaining child?"